Over time mobile technology has evolved as it tends to do. It began with mobile friendly websites several years ago, however, they these really didn’t do much besides having“call us” button. Then came responsive websites, which basically takes a website and makes it viewable on a mobile device without needing two separate sites. Even though these are an advanced form of a mobile web, they still lacked functionality and were not interactive and were still information based and then apps totally transformed the landscapes, actual programs that packed a punch and kept the user engaged. When apps first came out, people went crazy for them. They were downloading them left and right, and now there are just so many different types of apps that come pre-installed on your phone. But more recent trends show that people are turning away from apps, because not all app experiences are equally satisfying or worthwhile. Some people simply don’t want any more apps on their phone, slowing everything down. So in order for an app to be successful these days it has to be exceptional. For example, if you go to a restaurant you’ve never been to – not knowing the quality of food or service – and they mention their mobile loyalty program, you might not feel compelled to download their app. You would have to wait two minutes to download the app, open it up, accept permissions, and figure out how it works, before you can actually use it for their loyalty program. There is a lot of friction standing in between you and the restaurant’s app. With all this friction surrounding native apps, the tech industry set out to find a better alternative. Enter Progressive Web Apps. In the past year, this new technology has essentially taken everything that is great about a native app – the functionality, touch gestures, amazing user experience, power behind the application, push notifications – and transferred it into a web browser. I think Progressive Web Apps are the future of mobile apps. With the evolution to progressive apps users still get that app-like experience, but the friction is removed. Now if I am hesitant or indifferent about the business, I can still access their app with no commitment. The same app-like experience is essentially being delivered through a URL, allowing you to click on it and instantly have access to the app. The functions, benefits and value of the app is entirely the same, it is simply delivered in a frictionless way. 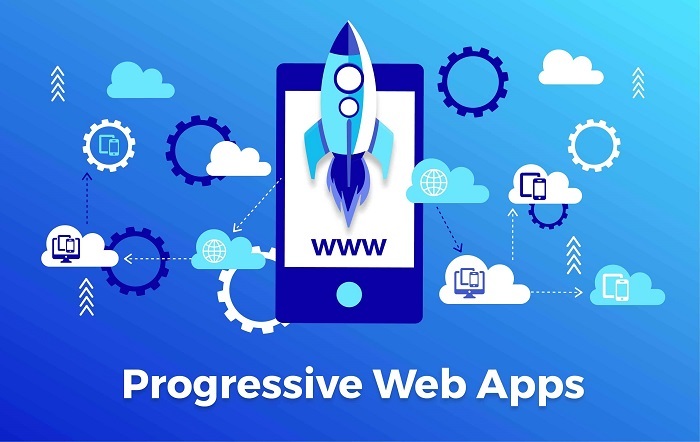 Progressive web apps combine everything that is great about a native mobile application with everything that is great about a mobile website. Mobile websites are good for customer discovery, as they are indexable by Google and users have instant access to them. Combine that with the functionality of a native app, including loyalty programs, food orders and push notifications, and you’ve got yourself the perfect hybrid. In my eyes, the only thing that is really changing is the way in which the mobile experience is being delivered to the customer. Aside from the customer benefits, it’s much easier for the small business owner or app developer as well. They don’t have to register for a Google and Apple developer account. They don’t have to deal with approval from the app stores. A PWA can be created and delivered as soon as it’s ready. It’s almost about freeing the app from the app stores and going beyond those boundaries. So when you look at the evolution of mobile, progressive apps feel like the next paradigm shift in branded mobile experiences. PWAs combine the linkability and accessibility of the web with the power and functionality of a native app.